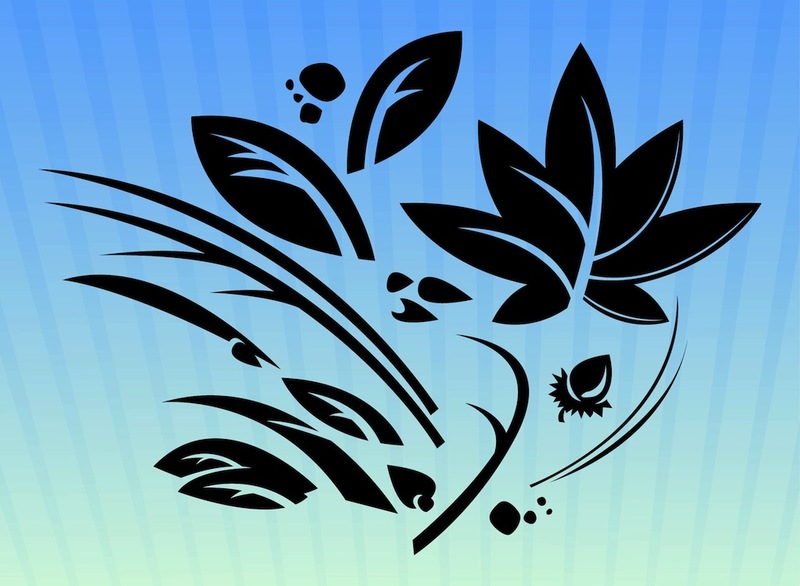 Nature layout with vector flowers and leaves. Silhouette graphics of the different tree leaves, flower buds and plant stems. Solid color silhouettes of abstract plants. Free vector image to create nature, plants, spring, ecology, garden, park, forest, wildlife, organic, flowers and floral designs. Tags: Abstract, Buds, Decorations, Flowers, Leaves, Nature, Plants.